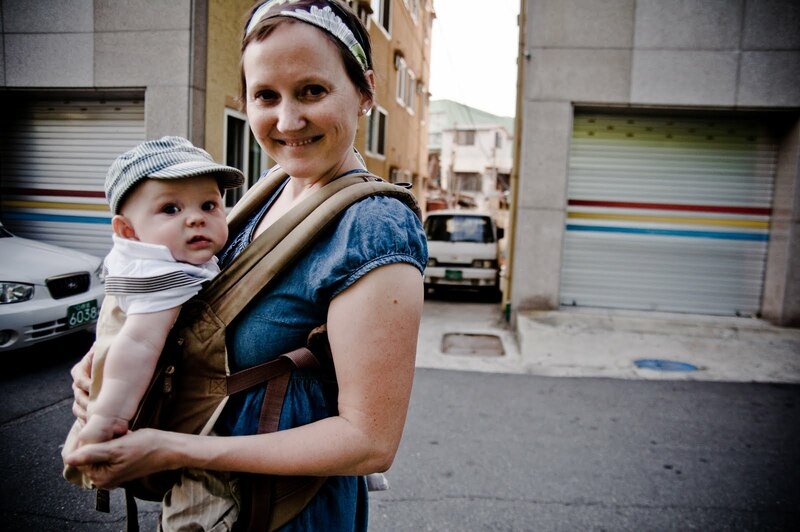 In Korea, many women choose to wear their babies rather than stroll them around. I love this. I have two carriers and they have both been used religiously since Finn was born. 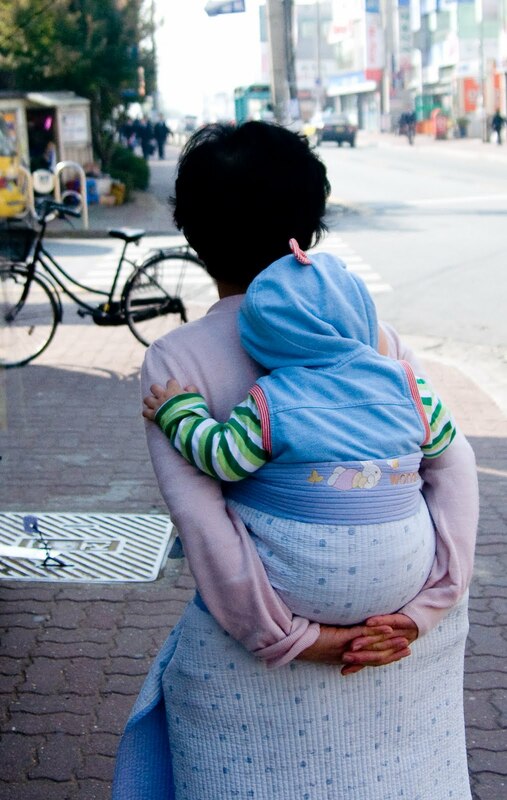 Also, Korea has a traditional carrier called a “bodegi,” which is basically a blanket that ties around your body. 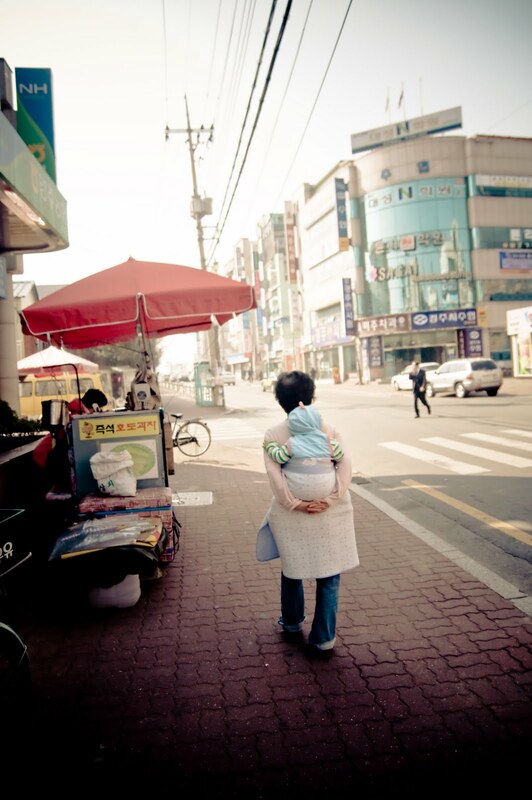 I see old grandmothers carrying the tiniest babies on their backs this way all over Korea. I don’t have one of these, but I love it! It's a very cute way to carry a baby, although I do worry sometimes when I see a newborn's head lolling around unsupported.